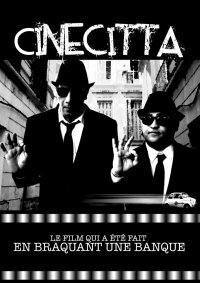 Desperate by the refusal of aid from the cinema commission, Chahine, a young screenwriter and director, wonders how he is going to find the money for the completion of the police comedy he has in mind. He then has a crazy idea to get him where he is: in a bank vault. Assisted by two accomplices (his producer and cinematographer), he writes and stages the robbery. The robbery accomplished, the three friends are forced to live in hiding in an elegant apartment until things settle down. In fact though, the apartment was sublet and his tenant, a corrupt lawyer in flight, is being followed by dangerous thugs. The Commissioner who investigates the robbery was is not above suspicion. Money passes from hand to hand before its returned to the bank. All's well that ends well though, as the film pays tribute to a whole gallery of characters dear to Italian cinema. 14th Arab Film Festival 2010, Film 415 (blog).